The beta version launched at the end of January with twelve participating health systems across the country, including Penn Medicine, Geisinger Health System, and Johns Hopkins Medicine. The new feature aggregates existing patient-generated data in the iOS Health app with data from the user's EHR and makes it all conveniently available for both patients and healthcare providers in one, user-friendly app. Just two months later, the new Health Records feature was launched into the wild on March 29, 2018, when an additional 27 health systems were ready and waiting to take advantage of the service. Now, more than 60 healthcare institutions support Health Records on iPhone - the full list is available here. Anyone with an iPhone running iOS 11.3 or above is able to download the patient-facing side of the feature simply by updating their Health app and can then take advantage of its features if they are a patient at a participating hospital. "Our goal is to help consumers live a better day," said Apple Chief Operating Officer Jeff Williams. "We've worked closely with the health community to create an experience everyone has wanted for years - to view medical records easily and securely right on your iPhone. By empowering customers to see their overall health, we hope to help consumers better understand their health and help them lead healthier lives." Apple's Health Records uses HL7's FHIR (Fast Healthcare Interoperability Resources) specification. Firing up the Health app, users are now able to view their medical records containing personal health information such as allergies, medications, conditions, immunizations, and lab results. Anytime a hospital updates their data, the patient is notified and can check it out immediately on their iPhone. Naturally, this data is encrypted, and users will have to enter a password to view it. Providing patients with ready access to their EHRs gives them better control over their health information, which can often find itself stuck within the various silos of individual health systems. Though some healthcare groups - such as Kaiser Permanente - already offer patients a bespoke app through which they can view their medical records, the difference here is that records from multiple systems are collected together to provide a single overview in one application. "Nothing should surprise me about Apple anymore. As I said, I'm a fan," Tracy Mead, a patient using the Health Records feature, told MobiHealthNews. "But the way my health information was sorted and presented was pretty great. So much easier to understand than the patient gateway app and website." From the physician's perspective, Health Records gives doctors access to information that they might not have had - or at least not had so easily - before. Patient-entered data and other data collected from smart wearable devices like the Fitbit, for example, can now be made readily available (at the patient's discretion) for doctors to view and analyze. Information about what patients eat and how much exercise they do is not currently collected in EHRs - but Health Records gives patients the option to share it easily with their doctors. And it's a two-way street - patients, too, have convenient access to information that usually only doctors can see, encouraging greater engagement with their ongoing healthcare. As one of the early adopters of Apple Health Records, Johns Hopkins Medicine is certainly impressed with the results so far. In particular, the encryption features are of note, according to Peter Greene, MD, Chief Medical Information Officer at JHM. When a user's iPhone is locked either with a passcode, Touch ID, or Face ID, data in the Health app is encrypted on-device. If the user chooses to sync their data with iCloud, it is encrypted both in transit and at rest. "I love the privacy disclosures and clarity [...] with regard to the patient. I think they're [Apple] absolutely exemplary in this regard and way ahead of others," said Greene, adding that more than 40,000 Johns Hopkins Medicine patients now have access to their EHRs via Health Records. Johns Hopkins was involved in beta testing each of Apple's healthcare development platforms - HealthKit, CareKit, and ResearchKit - and has been busy developing apps and integrations for each. Tied to CareKit is an application called Corrie, which tracks patients who've suffered heart attacks and aims to reinvent the cardiac patient's experience through skill-building for diet, exercise, and medication habits. Via the Apple Watch and a Bluetooth-enabled blood pressure monitor, data analytics and biofeedback on steps, heart rate, and blood pressure are all sent back to the patient's physician. 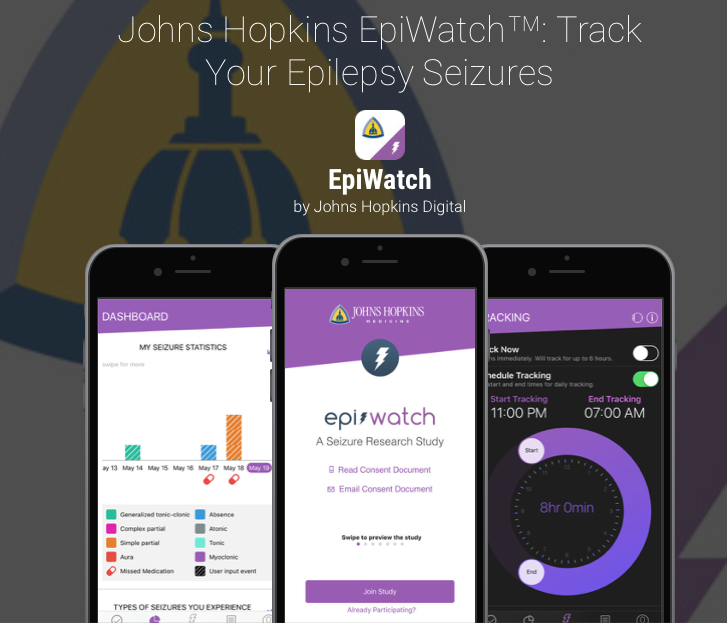 On the ResearchKit side, Johns Hopkins has its EpiWatch application, which involves the Apple Watch tracking patients with seizure disorders. According to Greene, because of the amount of data JHM has access to, the health system can be in a much stronger position to help patients who enroll in this research study. Greene believes that Apple's Health app - and all the third-party apps and integrations that can be linked to it - is highly valuable to patients who have complex care needs, particularly when they need to share their medical information with other providers. "This is a really good thing to ensure anytime you have your record information on you and can immediately share that in an urgent situation with your next provider." 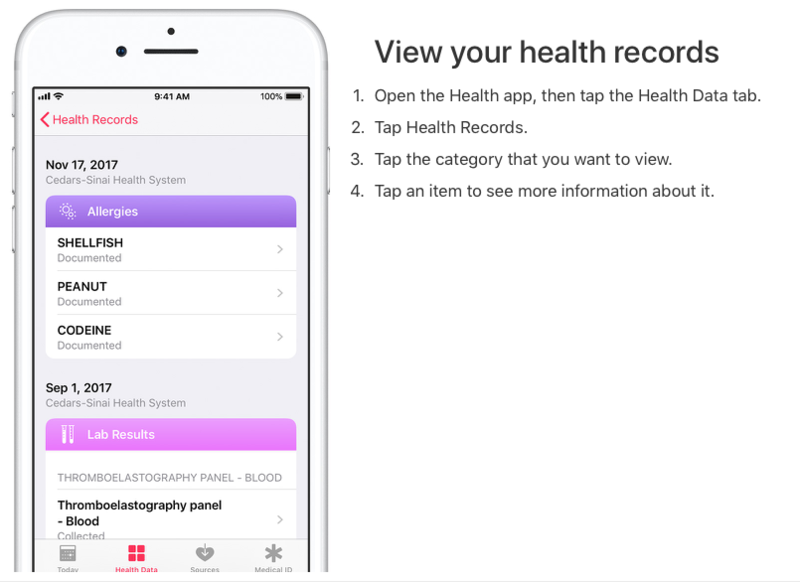 In June, Apple announced that it will be opening its Health Records API (application programming interface) to developers so new health apps with individualized experiences tailored to a user's health history can be built. 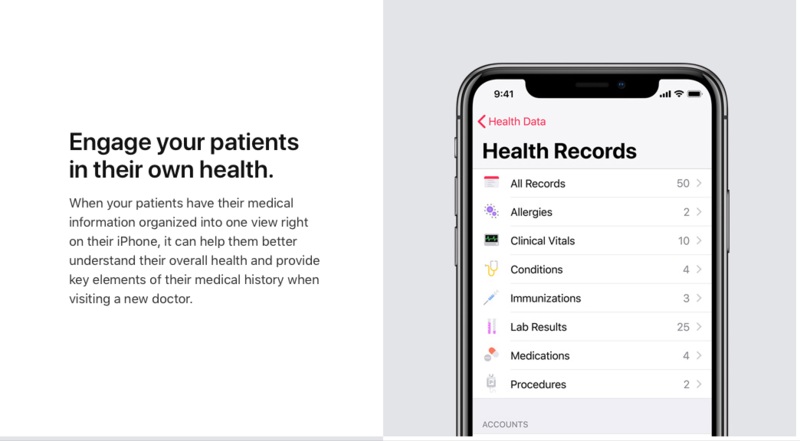 More than 500 hospitals and clinics are now allowing patients to access their medical information through the Health Records program, according to Apple. Starting this fall, users will be able to share their health data with third-party apps so the service can be further expanded. "Medical information may be the most important personal information to a consumer, and offering access to Health Records was the first step in empowering them. Now, with the potential of Health Records information paired with HealthKit data, patients are on the path to receiving a holistic view of their health," said Apple's COO Jeff Williams. "With the Health Records API open to our incredible community of developers and researchers, consumers can personalize their health needs with the apps they use every day." Though it has been noted that not all patients own an iOS device - a huge percentage of the US population are Android users - Apple's move to give patients fingertip-access to their health records is certainly a game-changer, and for Greene, an important step in the right direction. "We've tried for many years to set up HIEs [health information exchanges] and any number of ways to share patient records," Greene said. "It's a hard industry problem. [...] It is really exciting the patient now has a way of having that control and can share that data when needed. Now, we're headed in a direction that's going to make a difference for patients." You can hear Lisa Allen, Chief Patient Experience Officer at Johns Hopkins Hospital and Health System, speak at NGPX 2018 this November at the Rancho Bernardo Inn, San Diego, CA.